Strainstall in world-first with EU-type approval for load pin based container weighing system. James Fisher Prolec, a part of James Fisher and Sons plc, has successfully achieved full Automatic Weighing Instruments EU-type approval from the National Measurements and Regulatory Office (NMRO) for its innovative Container Weight System (CWS)™. CWS™ EU-type approval enables complete compliance to the International Maritime Organization's (IMO) Safety of Life at Sea (SOLAS) amendment for the verification of container weights, which came into force 1 July 2016. This is a critical milestone in the product's development as CWS™ is now fully approved to provide the verified gross mass (VGM) of containers, assisting ports and terminals in the provision of container weighing services to their customers. 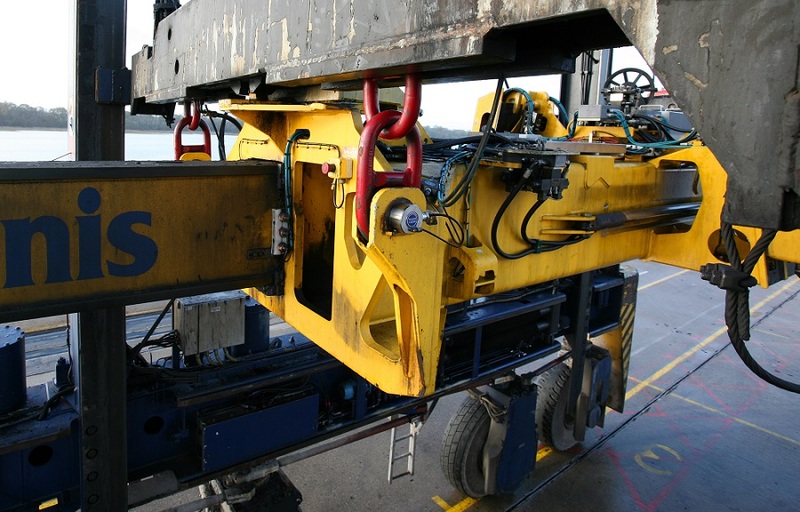 The CWS™ solution was specifically developed to meet the SOLAS container weight verification regulations and has been successfully installed at a number of international container terminals, including DP World Southampton's full straddle carrier fleet, where the system has demonstrated its high accuracy in excess of industry expectations. "The NMRO approval process certifies full compliance to the IMO's SOLAS amendment for the verification of container weights, and I'm delighted that CWS now has EU-type approval." CWS™ offers customers a fully compliant and robust solution. It's designed to be easily integrated into terminal operating systems (TOS) giving a simple and automated process for producing a verified gross mass for SOLAS compliance, with no impact to existing terminal operating procedures. "The industry is still experiencing some issues with implementation and enforcement, so this certification will help to give customers complete confidence in compliance and their ability to provide verified weights as legislated by the IMO, using our innovative and fully integrated container weighing solution." CWS™ also doesn't just provide the verified gross mass of a container, but also container snag detection and its centre of gravity (COG), helping to ensuring the safety of container stowage and transportation. CWS system installed at DP World Southampton.